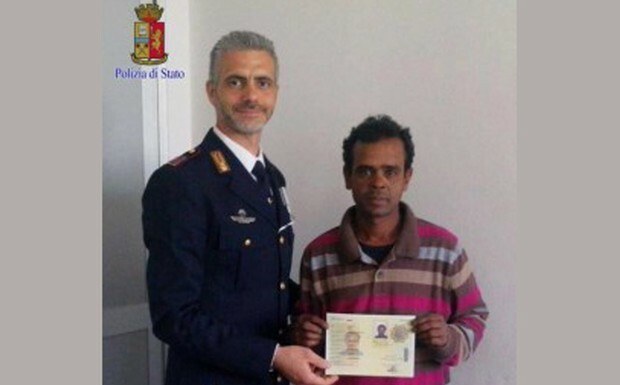 Italian authorities have hailed the bravery of Sobuj Khalifa, an illegal Bangladeshi immigrant, for saving a woman from drowning in Rome. In fact, they were so impressed with the gallantry of the 32-year-old that they granted him a year’s permit to remain in the city, says The Telegraph. For Khalifa, it was just another day of hardship when he spotted a ‘body’ in the River Tiber. “At first I thought it was a big fish but then I realised it was a human,” he was quoted as saying by the London-based newspaper. Seeing the strong current carrying the woman, Khalifa yelled for help but none came forward. He managed to pull the 55-year-old woman, who was still conscious, to safety. As it turned out, the woman, an Israeli Jew living in Rome, had jumped into the river in an apparent suicide attempt, the report said. Khalifa, who has been living on Rome’s streets since 2008, was initially granted a permit to live in the city but it had expired long ago. He now lives along the banks of the Tiber. According to the report, he makes a living by selling roses to diners in restaurants and umbrellas to pedestrians when it rains. He has told police that he barely makes 50 euros a week and sends some of the money back home to his ailing mother in Bangladesh. Rome’s Mayor Ignazio Marino called to congratulate him. “I was very moved, I’ve never felt so happy,” he told the Italian press. Italy has the second largest Bangladeshi community in Europe after Britain.